Cornucrescine Daily Hoof Moisturiser is a water-based formula that maintains optimum hoof moisture when used on a daily basis. This hoof moisturiser penetrates deep into the hoof to replace lost moisture and is therefore ideal for dry and brittle hooves. This helps to prevent the hooves from cracking and splitting and encourages healthy hoof structure. 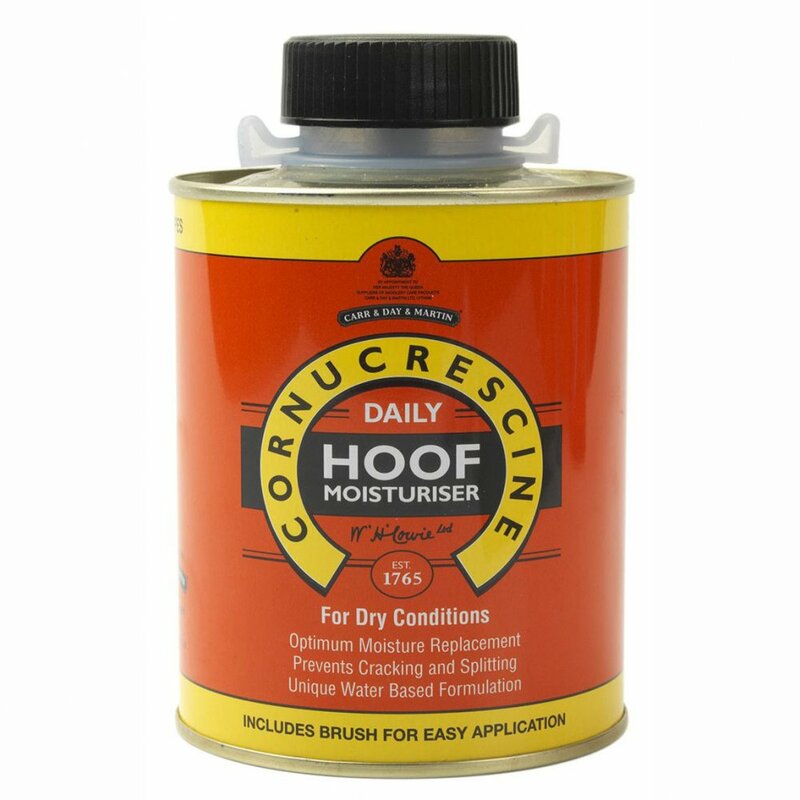 To apply Cornucrescine Daily Hoof Moisturiser ensure that the hoof is clean and dry and apply liberally with the brush provided. If hooves are particulary damaged we recommend also using Cornucrescine Original Hoof Ointment. Cornucrescine Daily Hoof Moisturiser contains humectants, coconut oil and anti-bacterial agents.